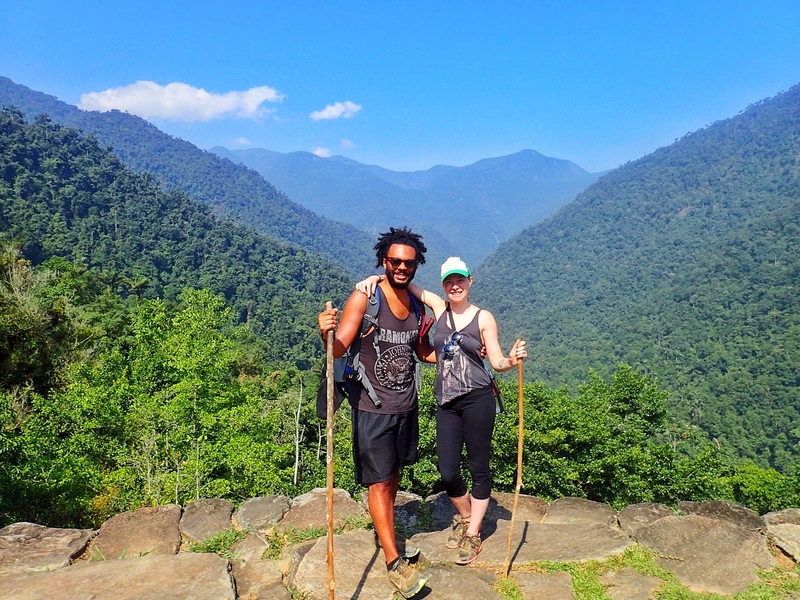 WSGT’s next Influencers, James & Sarah, run The Whole World or Nothing, a blog dedicated to budget backpacking, delicious streetfood and finding new thrills wherever possible! Rio de Janeiro was the first place where we got to witness in real life, iconic sights that we’d only seen on TV or in photographs. Standing at the feet of Christ the Redeemer, gazing out across the City of God was when it really hit us that you can’t beat travelling. New Zealand. 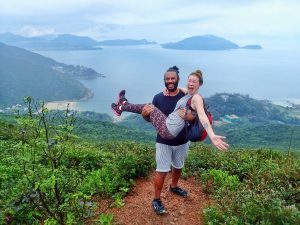 We love nature and the outdoors so it would be perfect for us, but as budget backpackers it’s not really feasible for it to be at the top of our list. We’re pretty certain that we would fall in love with the landscapes and enjoy all of the adventure. Kayaking down the roller coaster rapids of Tongariro river and hiking the Kepler Track through the stunning mountainous scenery of Fiordland National Park is something we can only dream of for now. Walking the Skyplank on Mount Hua in China. The trail is famed as “the world’s most dangerous hike” and it’s rumoured that as many as 100 people die per year on it. The photos that we’d seen simultaneously excited and scared the hell out of us, but as neither us are fans of heights we had to dig deep to do it. When we saw the rusty metal ladder down to the 2000m high overhang our stomachs flipped and it was nearly off the cards! But we don’t like to lose face so we couldn’t back out at that stage. Maps Me, Trail Wallet and What’s App are our top three. Maps Me is free and allows you to plan routes offline which keeps us from getting lost. As budget travellers we have to keep a close watch on our finances, Trail Wallet is great for this as you can categorise your spending and it automatically calculates helpful daily averages. For us What’s App is the best way to keep in touch with family and friends and we have numerous group chats which keep us connected to everything going on at home. Bolivia. It’s a really underrated country and is often overshadowed by its more famous South American neighbours. It’s unique in that it’s one of the most traditional countries in South America, with over 60% of the population being indigenous to Bolivia which has preserved much of the culture. 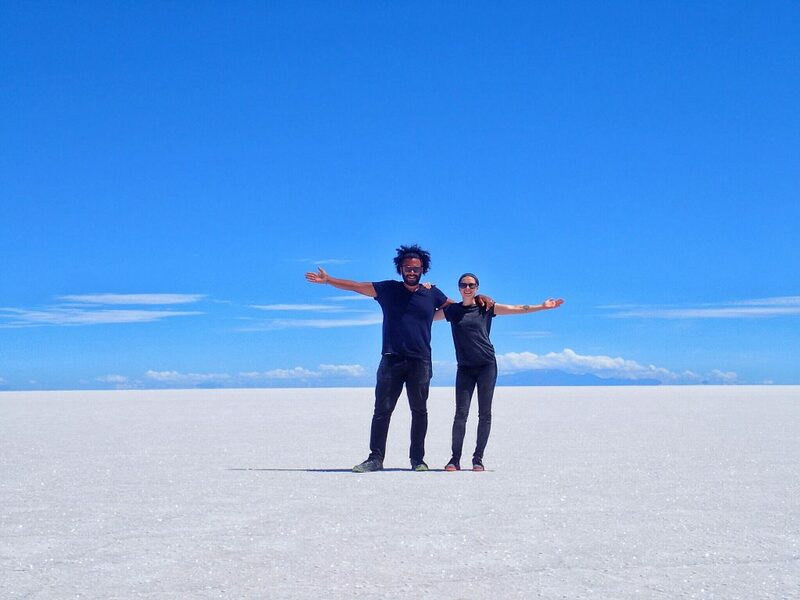 It has incredible landscapes such as the Uyuni salt flats and unspoilt national parks and as budget travellers it’s very friendly on the wallet. James’s mum told us to make sure that if we have an argument whilst travelling to resolve it quickly and not storm off and get separated. Fortunately, we’ve not had to heed it yet, but with Sarah’s ability to get lost in a hostel dorm room it was sound advice all the same. This has happened more times that we can count, all over the world. But there are two that stand out for us. We were in Uruguay doing our first proper bit of backpacking and someone who we had literally just met in our hostel offered for us to stay at her house in Brazil, which just so happened to be our next destination. We had a brilliant time and saw a side of Florianopolis that we wouldn’t have otherwise seen. On our way to the great wall in China we got tremendously lost and a 15-year-old school kid that we met on the street not only ordered us a cab and accompanied us to make sure we got there okay, but also paid for the journey and refused to take any money for it. In our pre-travel lives we used to always watch documentaries about adventures in far flung and exotic places. We’d dream of experiencing the cultures and seeing the gorgeous landscapes for ourselves so we always knew deep down that we wanted to travel far and wide. But to be honest, there were also a lot of negative influences. We realised that we were sleep walking into a future that we didn’t want and ultimately, it was the fear of not living the best life we thought we could which drove us to travel extensively. We’ve discovered that we are at our happiest when we are travelling. It’s as simple and as complicated as that. 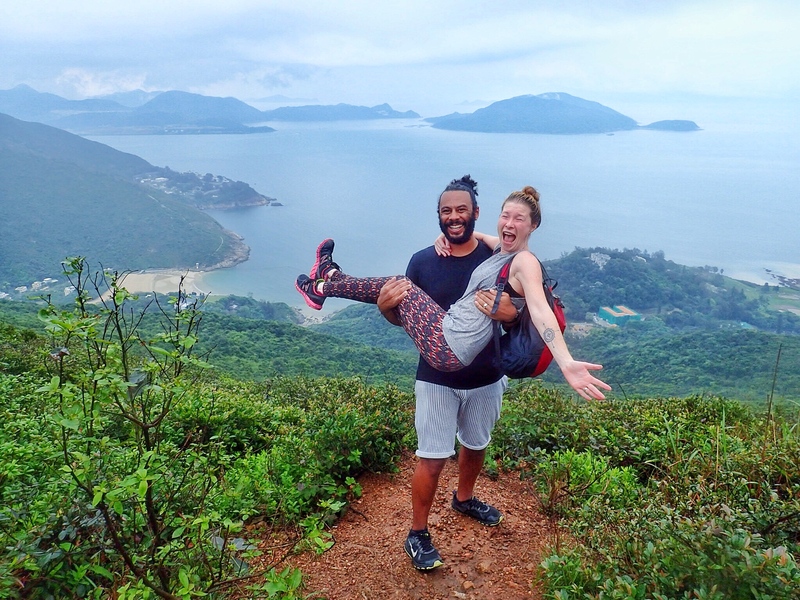 Sarah and James recommend: Looking beyond specific travel blogging advice and seek out information from the top bloggers in all fields. One of the most useful resources we have come across is copyblogger.com who have produced lots of great ebooks on copywriting and send out weekly emails with tips and advice on how to improve your writing, market yourself better and generally improve. They do have paid courses but many of their resources are available for free as well and are written by bloggers from all backgrounds. 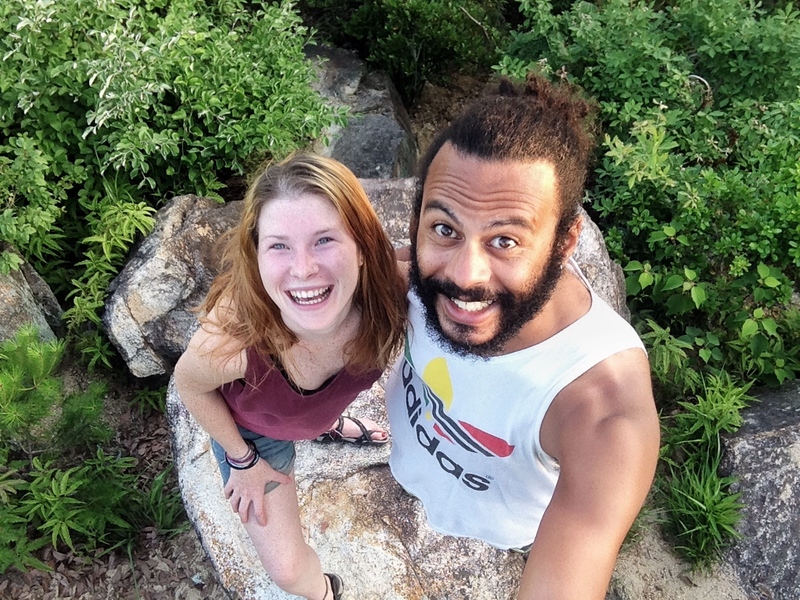 James & Sarah, aka The Whole World or Nothing, are full time budget backpackers & part time thrill seekers. They love seeking out delicious street food, taking on exciting adventure hikes & drinking a nice cold beer while watching a sunset. It all started with a drunken conversation about wanting more from life & a desire to travel the world. Now they are living their dream & hope to inspire you to put your fears aside & go follow yours. What are you waiting for?